This shot was taken in the basement parking of a shopping mall. The pink wall and shadows caught my attention. The lines and geometry were fascinating to look at and to top that, the color palette was absolutely stunning. 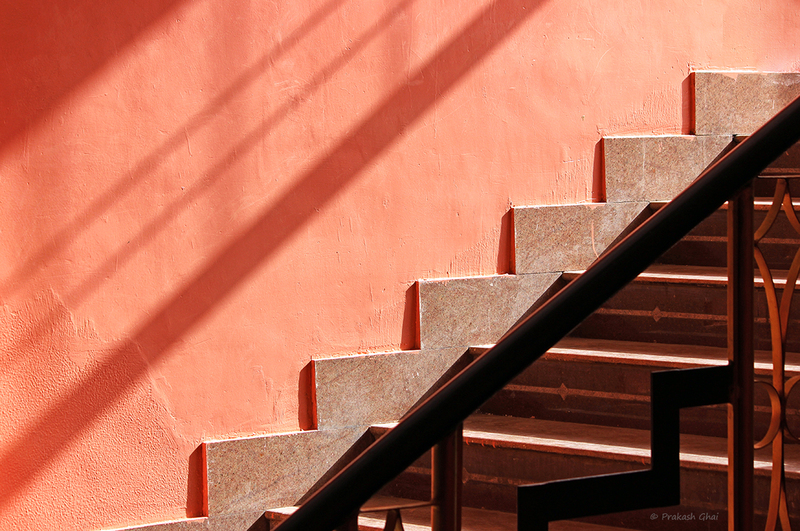 Staircases are anyways a favorite Minimal Subject for me and I am always on the lookout for them. But there is one thing to remember here. Please do not get carried away and include way too much detail in the frame. Because then the shot actually becomes Maximally Minimal. Alright, there does exist a category by the name of "Maximalism or Maximally Minimal Art" but, in Minimalism it is always ideal to be more "Minimally Minimal" than being "Maximally Minimal". On a lighter note, If I have still not confused you, you need not subscribe to my blog.